We often talk about conversion in relation to the entire buyer’s journey, from locating a brand through to the sale and back-end relationship building. But for small e-commerce sites, there’s one particular portion of the funnel that needs to be optimized. When a customer selects a product and enters your checkout queue, it’s critical to make it as fast and easy as possible for customers to give you their money. Purchase abandonment is a common hemorrhage point for e-commerce sites and it’s important to identify the causes and plug these gaps. By using basic user experience (UX) analysis, as well as data from analytics, it’s possible to find points of friction in the checkout funnel. You can then create hypotheses about why these occur and test to improve your general approach to the shopping cart and checkout funnel. If you’re a small e-commerce firm that’s working through conversion issues in your checkout area, here’s a checklist that you can use to evaluate your performance. Communicates your brand effectively, in a way that connects with your prospect. Makes it easy to move to the next stage of the process: looking at your products or services, buying them, or contacting your for more information. Minimizes all distractions to focus on core messaging, user experience, and ultimately making the sale. Brand visuals: Does your site have distracting elements, such as a carousel? Visuals work, but should feature targeted images and text in a static form. This also offers significant advantages for SEO. Navigation: How simple is your navigation? Can a customer with a clear purpose (e.g. buy a size 7 women’s blue X Shoe) immediately find and execute that goal? If not, what’s standing in his or her way? Signposting: Sites offer different types of signposting in the hopes of capturing visitors’ attention. A single online bookstore might feature “Staff Recommendations,” “New York Times Best-Sellers,” “New Releases,” and “Recently Made Into Movies” categories splashed across the homepage. But which ones are effective? Using heatmap technology to see where your customers are clicking can help you hone your messaging and declutter your site design. Trust signals: How strong are your trust signals? The more that your most compelling trust signals are visible on your homepage (versus, for example, being at least a click away on a “testimonials” page), the more effective you will be. Copy: Is your site copy the most compelling that it could be? Consider testing language related to your unique selling proposition and your key benefits statements for conversions. The more you can both differentiate from the competition and align with the customer, the more successful you’ll be. Product clarity: Is it immediately clear what the product page is for, in every way, from the imagery to the title and description? Can a first-time user land on a page and explain what the product is, what it does, and any other critical details upon first glance? Trust elements: Product pages represent another area that’s an excellent place to focus on trust elements. Trust elements that are appropriate at the product level include reviews, customer testimonials, third-party quality endorsements, and positive press pull quotes. Urgency: Are you leveraging the power of urgency to get people to buy? Amazon uses a great technique. Have you ever noticed when you’re looking at a book that you will see “only 12 copies left in stock?” This is one effective technique. Another is noting a discount that’s time delimited in some way. Always be ethical here, but if you can create urgency with true facts, it gets people to take action. Visual quality: Are the photographs on your site professional quality? If your photo viewer pops out or offers a zoom in option does it obscure important product details or open a new page? Go for a streamlined, high-quality visual experience as much as possible. Cart visibility: Is the “add to cart” button highly visible? Can a customer add a product to his or her cart with one click and not have to search around for the next step? Does your site then automatically take your customer to check out or verify if they want to keep shopping? This aspect of the product page configuration should be as seamless as possible. Distractions: Is your page riddled with distractions such as social buttons or email newsletter sign-up forms? Once the customer has arrived at the checkout page, your objective is to manage their experience and get them through as quickly as possible. Your process should be straightforward and your design as stripped down and clean as you can make it. Consider going as far as Amazon by removing footers, headers, and anything that’s not immediately related to checking out. Buttons: Are your most critical buttons highly visible and given priority placement and color choices? Your highest priority buttons will depend on your form set up, but consider clear cart, update cart, and continue shopping as a starting point. Redundant information: Do whatever you can to eliminate redundant information. Do you request a billing address and a shipping address? Could you offer a simple checkbox if they’re the same? Can you make it easier for customers by having the city and state populate once they’ve entered their zip code? Are any questions you’re asking “nice to know” but not essential? Cut them. Coupon codes: How you handle coupon codes makes a big difference in the conversion process. Having a bold field followed by a “Coupon Code” button can cause abandonments as people think they’re missing out on a deal. A simple link that pops up a box when clicked is subtle, effective for people looking for it, and doesn’t distract. Trust signals: The appropriate trust signals for this portion of the process include security statements, trust badges, and simple copy about checkout being 100% secure. Flow: Test your flow with heatmapping technology and with user experience testing. Is the flow of your checkout as intuitive as possible? Identifying these areas where friction is occurring can help you quickly determine what’s not working. Registration: Consider eliminating the requirement to register for an account, and instead simplifying language to New Customer/Returning Customer. Give the customer the chance to sign up for a permanent account after the transaction is complete, or using a simple form on the checkout page that doesn’t require going through a whole separate process. Leverage the information that you’ve already collected to minimize data entry. 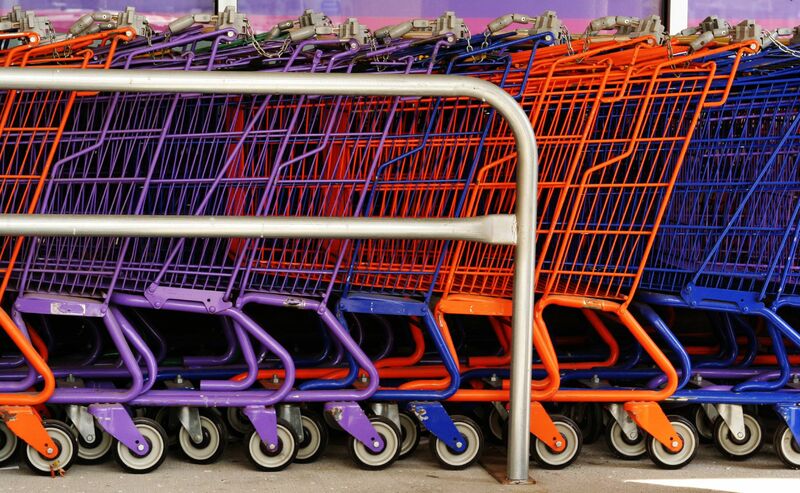 In a future post I will tackle the issue of cart abandonment and retargeting strategies. But my hope is that this checklist will help e-commerce site owners get started with the process of optimizing the checkout flow. Have you found any other critical areas in managing your conversion optimization efforts during the checkout segment of your funnel? Let me know in the comments below.